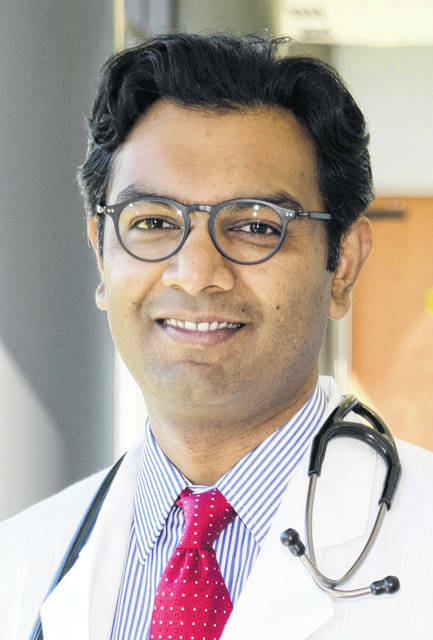 Sayed Muhammad Tariq Rizvi, MD, a board certified interventional cardiologist, will speak on heart health as part of the New Year, New You speaker series. The lecture takes place at 6 p.m. Thursday, Jan. 24, at Urbana Hospital, 904 Scioto St.
Heart disease is the leading cause of death in the United States. Many of these deaths are preventable with lifestyle changes in diet and exercise. Dr. Rizvi will present tips on what you can do to maintain a healthy heart and reduce your risk of developing cardiovascular disease. Light refreshments and appetizers will be provided. Attendance is free but space is limited. To reserve your spot, call 937-484-6387. This is the second installment of the New Year, New You speaker series presented by Mercy Health – Springfield. On Jan. 29, general surgeon Terry L. Carman II, MD, will present on obesity and weight management options.